The Atmos Vicod 5G 2 is powered by a powerful 2200mAh lithium polymer battery. The Vicod 5G 2 uses advanced temperature controls allowing you to choose between the range of 300F-435F. The Vicod 5G 2 uses an embedded ceramic heating oven chamber to vape dry herbs and also includes a wax oven cup for wax concentrates. The material used on the outside of the Vicod 5G 2 is rubber housing that provides a durable heat resistant finish and comfortable grip to hold onto. The Vicod 5G 2 has a nice display which tells you the current temperature and battery life of the unit. 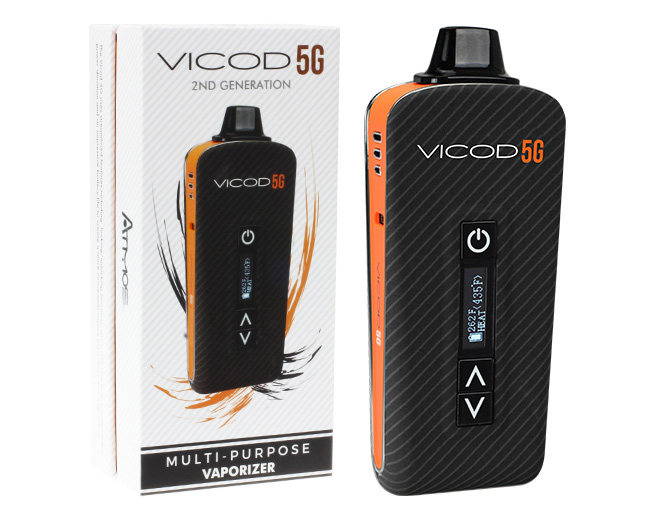 The Vicod 5G 2 is a simple and affordable vaporizer that performs above average for the price range that it is in. For a simple vaporizer that you can get for pretty cheap the Vicod 5G2 is one of AtmosRX’s top selling units. 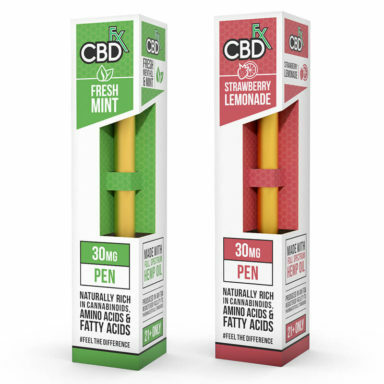 The rubber grip keeps the unit cool in your hands and the powerful battery allows for dense flavorful vapor. 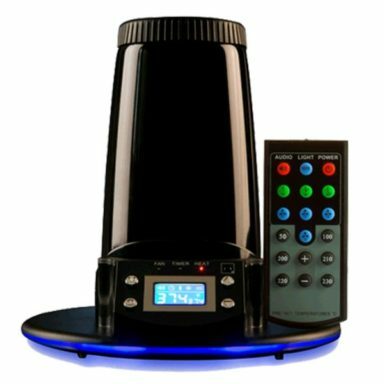 This model is a conduction vaporizer which uses surface heat to vaporize your materials. 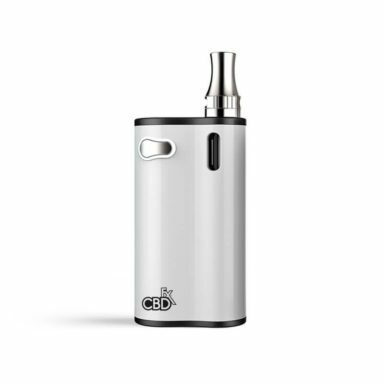 Some people prefer to use a convection vaporizer as they tend to vape you materials more evenly and lower the possibility of combustion.